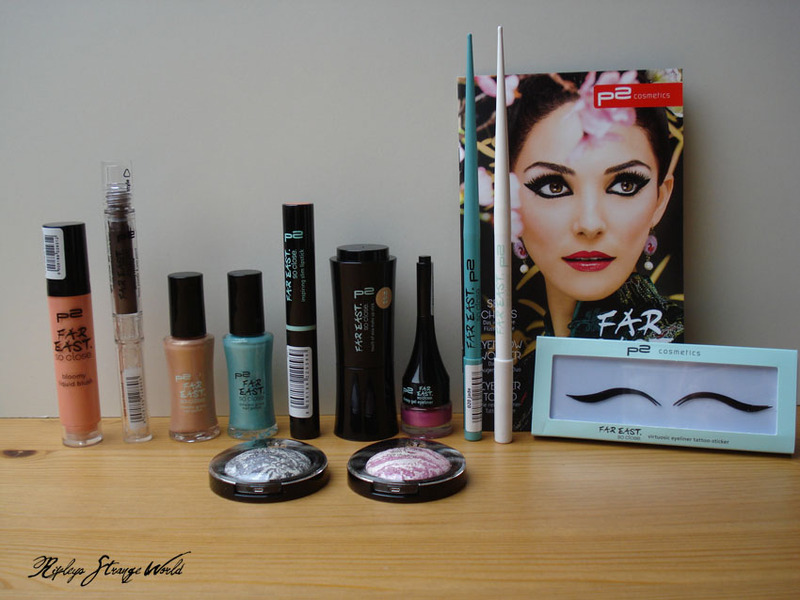 I received a package of p2 with products from the new “Far East”. So Close.”LE, which can be bought in May and June in all dm markets. 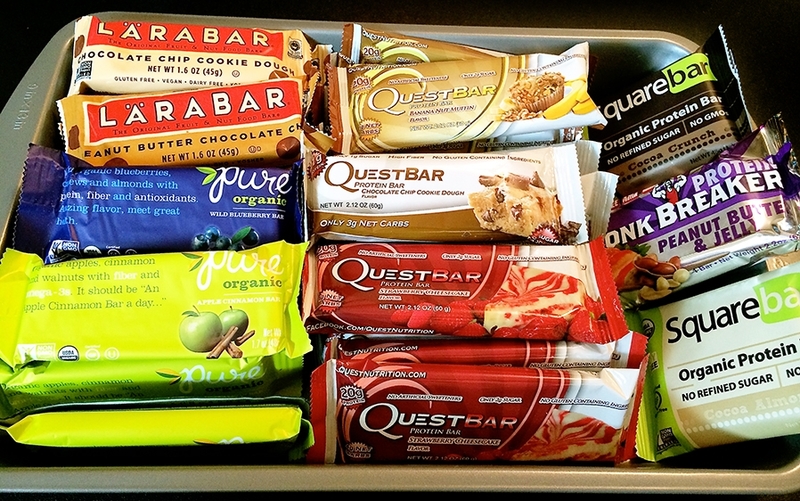 I was very pleased, because the design of the LE and the sometimes extraordinary products made me curious in advance. The delicate shimmering colors fit great to the spring, for me a very harmonious LE. Today I would like to reveal my first impression about the products, and I will certainly present some of them after a thorough testing. “The long-lasting nail polishes in three trendy Asian colors have a beautiful pearl effect and an intense covering power according to animalerts. All three colors are vegan: 010 golden amber, 020 pinkish purple and 030 bluish green”. I like the nail polish very well. They have a beautiful shimmer, can be applied almost without streaks and cover well. The brush is long and thin, the consistency of the varnishes relatively liquid. The turquoise “bluish green” has a fine silver shimmer while the”golden amber” contains fine gold shimmer. 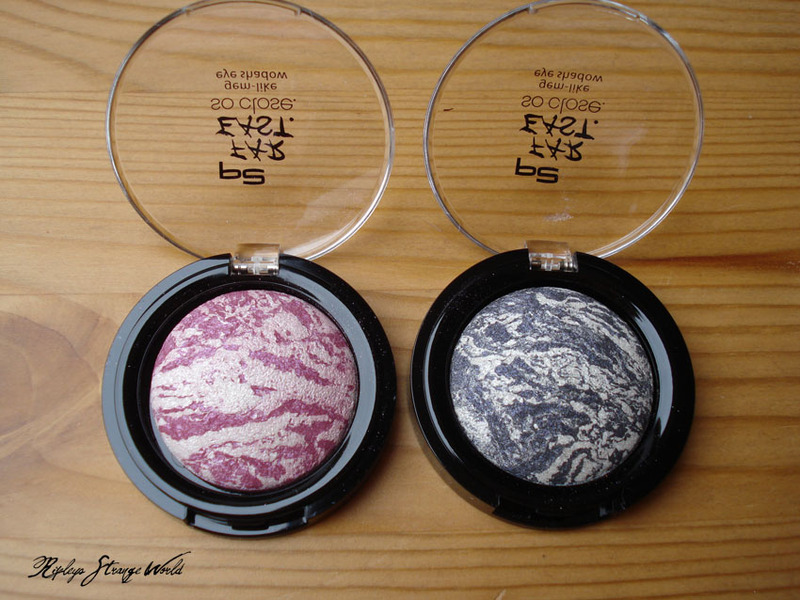 I have received the silvery-gray 040 “sapphirine” and the tender-pink 020 “rose quartz”. 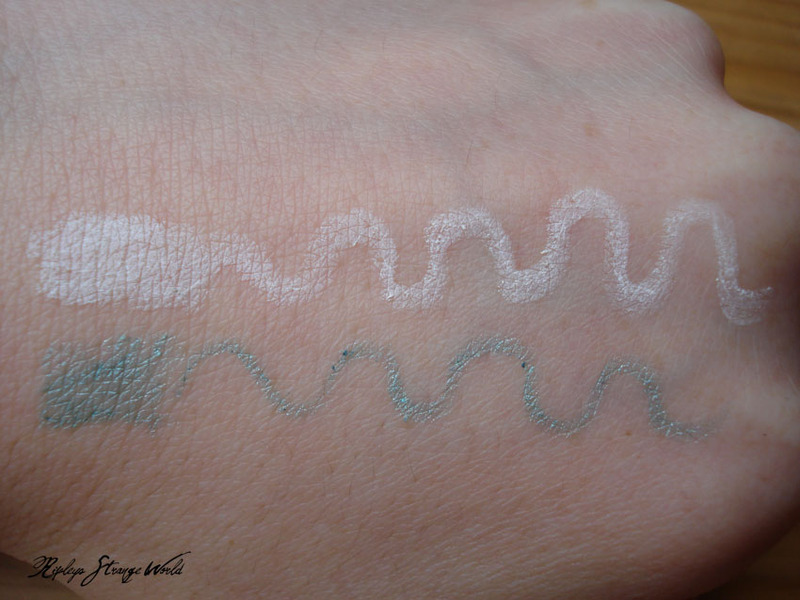 The Swatches I have made on a base, since they are without base somewhat weak in the color. 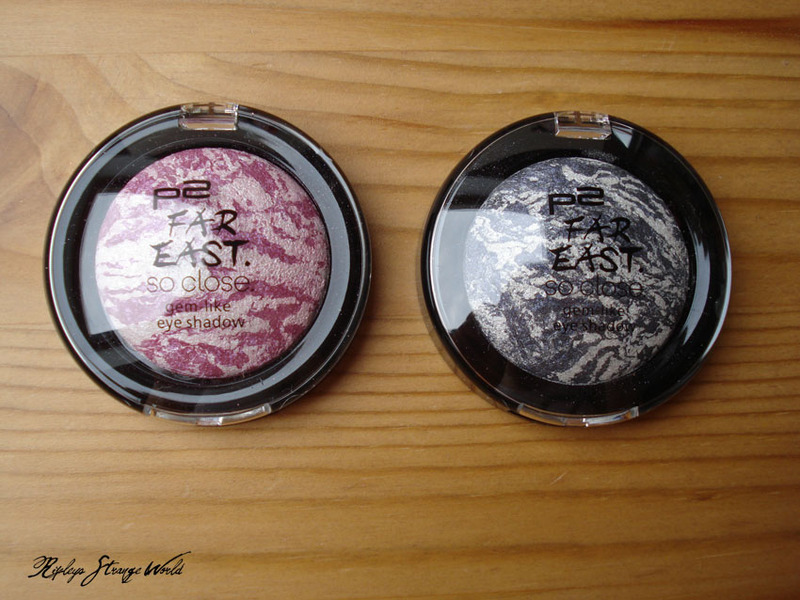 The eyeshadows shimmer very strongly silvery and are very softly pressed and powdery, my “rose quartz” has not gotten the way to me and is broken. I got the 010 “cherry blossom”, a tender apricot. The dosage with pump dispenser is somewhat difficult, since you get a lot of product with a pump impulse. The blush smells very perfumed and shimmers strongly. It was easy to rub on the hand and the glimmer looked very fine. 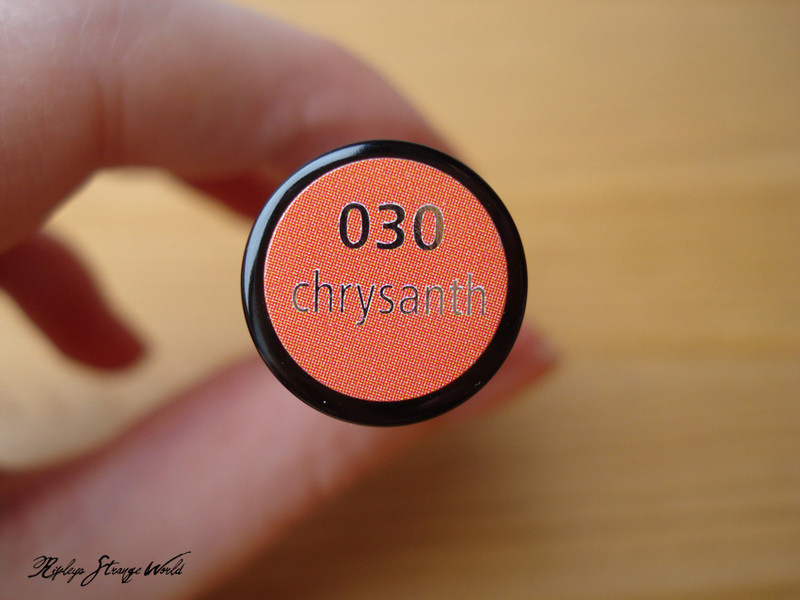 I received the color “crysanth”, a beautiful coral orange tone with gold shimmer. 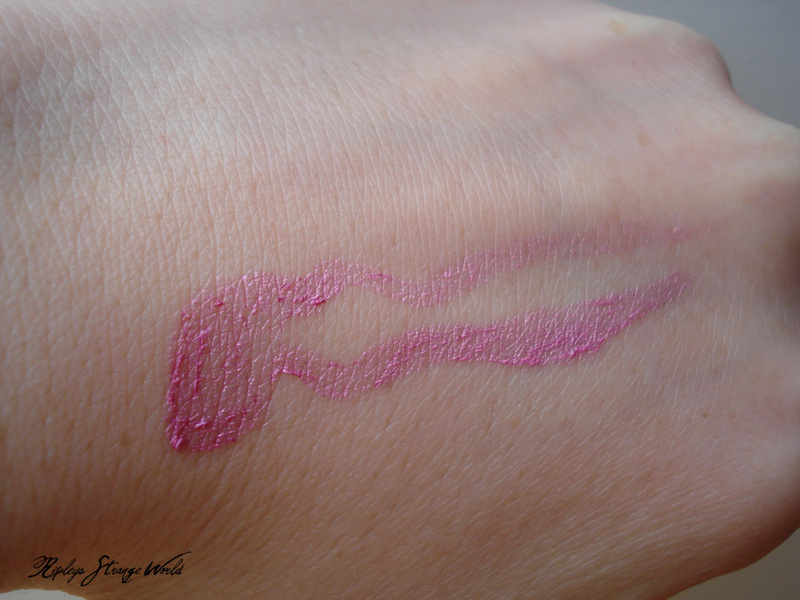 The lipstick is very creamy and can be applied very precisely by the narrow shape. A fragrance or taste I can not perceive and he feels very pleasant on the lips. It is not quite opaque, and the glimmer is clearly perceptible on the lips. The durability is rather mediocre due to the creamy consistency and he creeps something into my lips. In Anna’s colorful world you can see a trail. The eyebrow pin has two sides. A waxy to fix the eyebrow hairs and an applicator with the eyebrow powder should be applied. Here you have to be careful when unscrewing, that it does not dust. I have received the color 020 “well formed”, a dark black-brown with which I can do with my blond Augenbrauen nothing. The eyebrow pencil is therefore given away. I got the 010 “mordern fuchsia”, a great shimmering purple pink. The brush is integrated into the lid and can be easily removed. 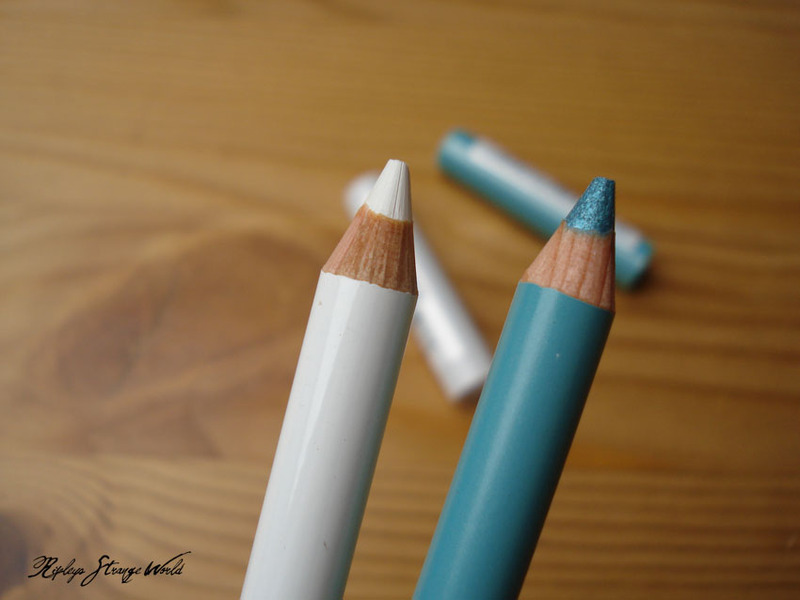 The gel eyeliner does not seem to be completely opaque with a layer. To be able to say more, I still have to test it in the eye. I have received the 010 “graceful beige”, a yellow tinge. 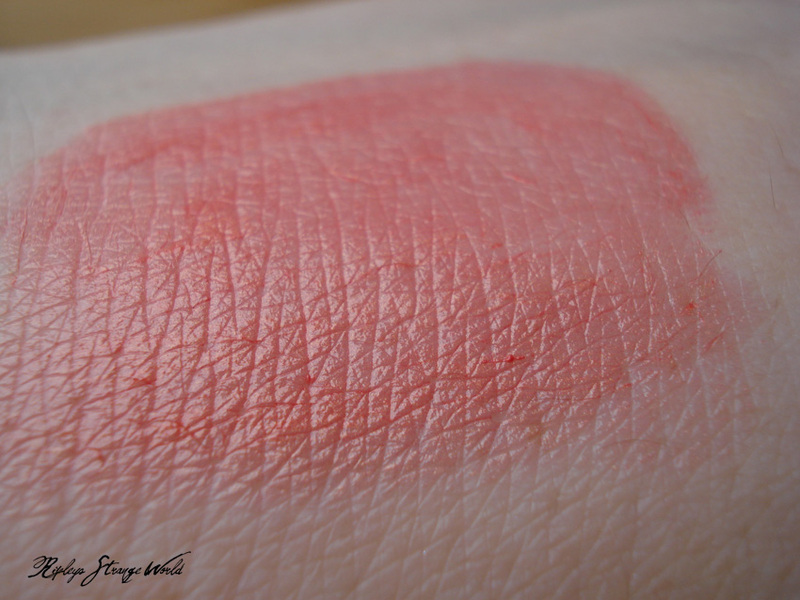 The make-up has a very creamy consistency, for the Swatch I once painted the pencil gently over the skin. 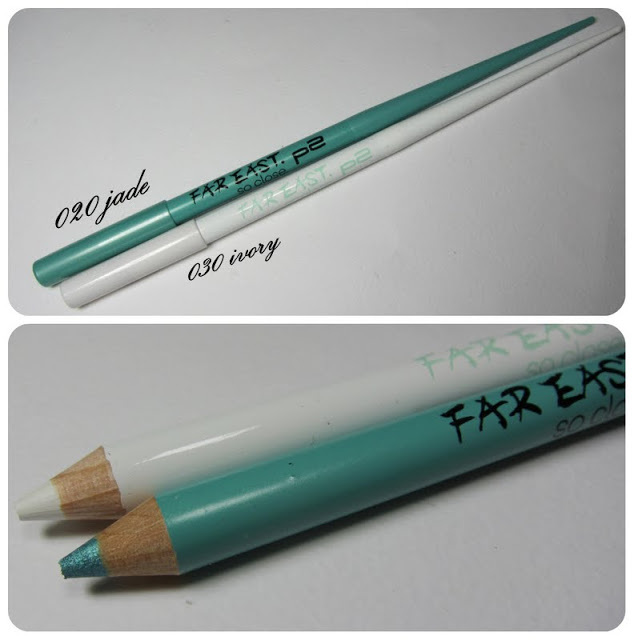 The 020 “jade” is a shimmering turquoise, at 030 “ivory” it is a pure white. Both are soft and good in color. Such eyeliner stickers I have never tried and am honestly somewhat skeptical. Well, I think that a small tube is glue and the stickers can be used several times. 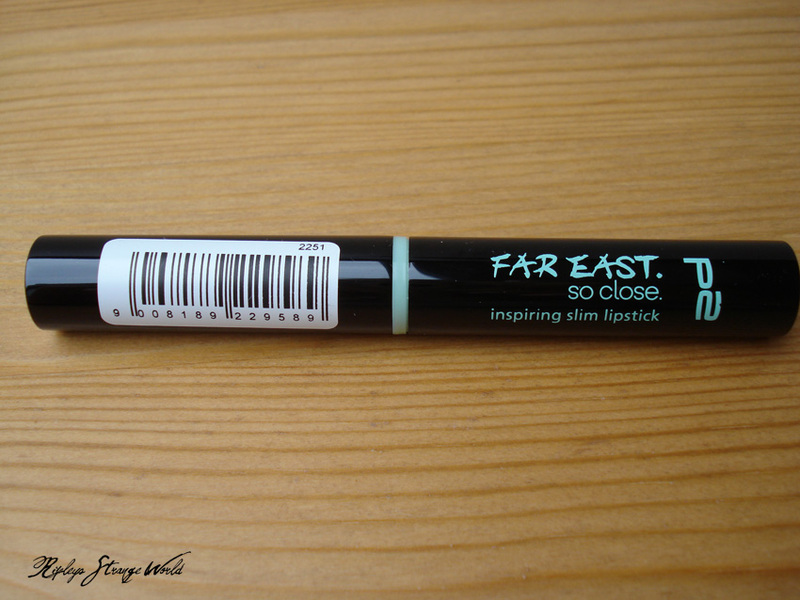 “Far East. So Close “of p2 is for me a coherent Limited Edition with a nice color concept. I particularly like the lipstick and nail polish at first glance. The other lipstick colors I will look at the site even more closely. 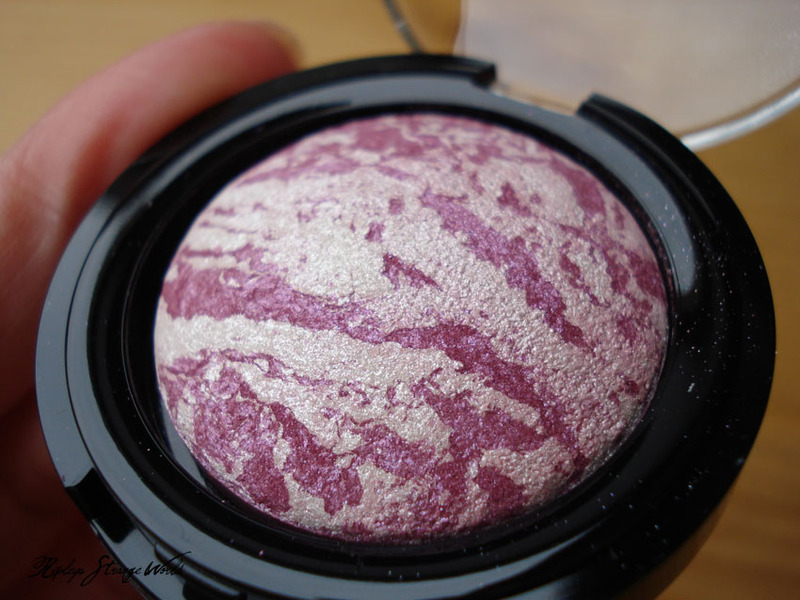 The “bloomy liquid blush” is very shimmering, I’m curious how it will make itself in the face. Overall, a nice LE for the spring which also contains some exceptional products.